I really like trying new things. Honestly, whenever I hear about something neat, I dive head first into it. Floral design has always intrigued me, but it wasn't until just recently that I took initiative in learning how to do it! 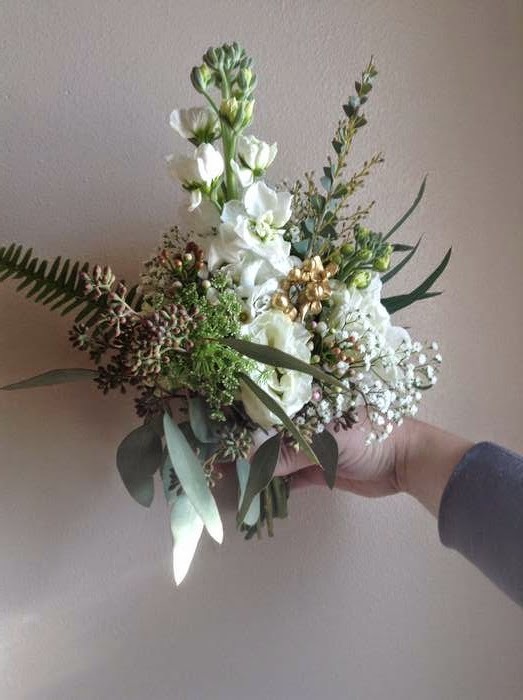 I contacted Erin from Floral Design by Erin because she arranged all the flowers for my brother's wedding and is friends with my sister in law. She was kind enough to invite me in arranging the flowers for one of her upcoming weddings. 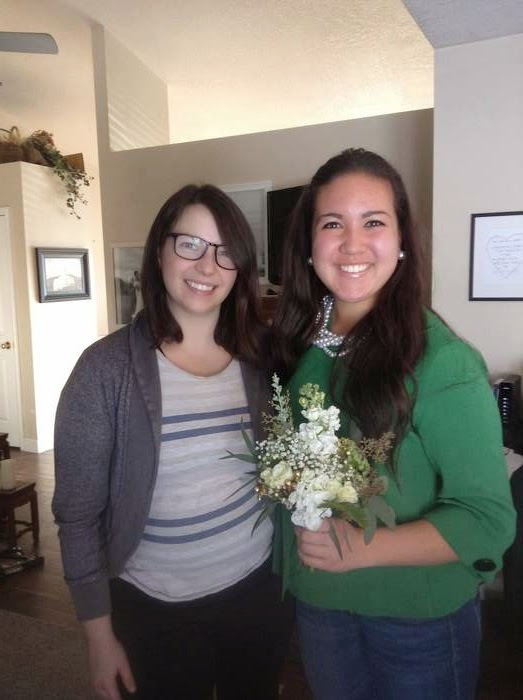 I showed up to her house ready to watch her put all the center pieces and the toss bouquet together, but she wouldn't have any of that. From the time I arrived and the time we finished setting all of the flowers up, I was involved with everything! I learned a lot about how to cut the flowers, and arrange them to look pretty. It is really different for each piece that you do, and I think that is refreshing and neat. She let me put together the toss bouquet that she used for the real wedding!! I was so shocked that she would trust me like that, but she approved of how it looked and that in itself was the highest compliment. We went down to the venue where we were to set up all the flowers and put all of the center pieces on the tables. 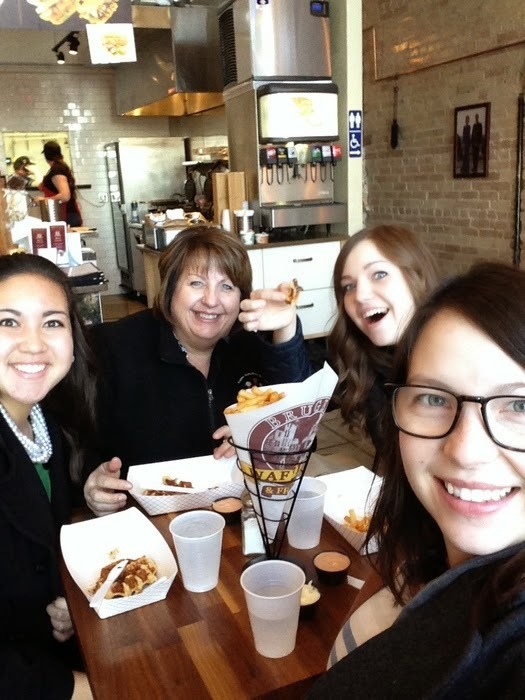 The cake hadn't arrived yet, so we decided to hit a Belgian waffle shop on center street in Provo. If you live around there, you HAVE TO go and find it. It's across the street from where the new tabernacle temple is being built. Oh my heck. This was the greatest waffle my taste buds have ever experienced. It didn't need any sauce or toppings. The waffle in itself was so sugary and sweet and delicious! What I really appreciated about this was how welcomed and at home I felt with Erin and her family! They treated me like I was one of their sisters/daughter and that was so great. I could see the southern hospitality that I miss so much from North Carolina in them! I learned so much about flowers and arranging and making people feel welcome and at home. I'm so grateful for Erin!